Pipe bursts, water leaks and house flooding are all common damages that you can face in your household. This is not only limited when you leave the house unattended as the pipe burst can fill your room within seconds. That is why automatic water shut off valves are one of the most beneficial smart devices that we believe should be installed in each house. We tested main auto water shut off valve systems at our home facility, assessed their pros, cons and main features. The wifi water valve systems we recommend to you are subjected to at least two months of tests and have proven high customer satisfaction. Addon water shut off valve is installed over your existing valve so no significant plumbing required. Dome DMWV1 is the most affordable but also consistently highly rated product. 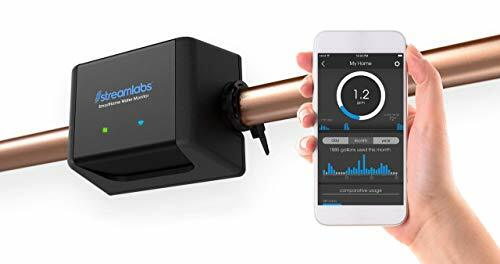 It can be added to your smart home hub using Z-wave and use any other leak sensors.Guardian Leak Prevention System is similar, but a more expensive option which feels more robust has a hub and three leak sensors. 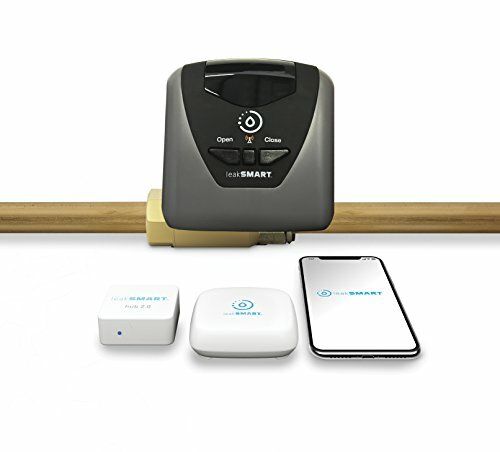 For a more comprehensive whole house shut off valve replacement systems (especially for new builds) we recommend leakSMART Water Leak Detection Kit . Installation of such valves require certified plumber which is an extra cost, but it certainly pays off. LeakSMART can work on its own, but at the same time connect to your ZigBee enabled smart hub. It will allow you to use any other moisture sensors. Grohe 22503LN0 s another great option. 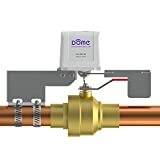 The unique feature of the device that it monitors the flow and can detect the pipe bursts on its own. 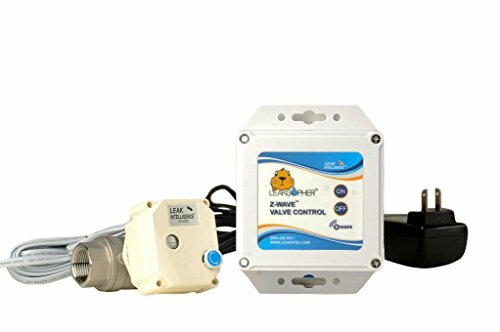 Finally, you can opt to cover with automatic water shut off valves your utility room only. In that case MyGuard MGWLD is your best option. We would still recommend a whole house automatic water shut off system, but MyGuard does its job well. why we selected this model? 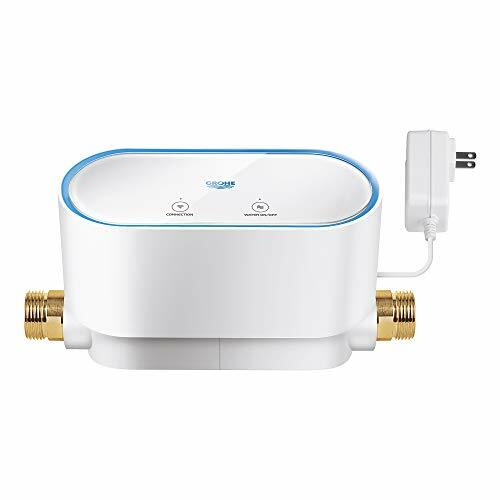 How Does Wi-Fi Water Shut Off Valve Work? Automatic water shut off valves is a water stop valve that can be controlled electronically. Similar to the normal shut off valve its main purpose to turn the main water supply off. The difference is that it can be triggered by a smart water sensor at any signs of leakage or remotely by smartphone or smart hub. Some of the systems come with a manual override that lets you shut off the water manually. This is highly recommended by most plumbers in the industry. Installation: Whole House or Appliance only? Some auto water shut off valve can be installed as the main valve and cover the whole house.Others can be installed in utility rooms to protect only appliances like washing machines (usually slightly cheaper products). 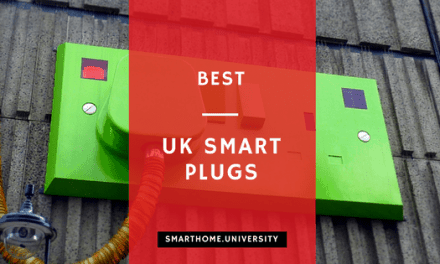 Our recommendation is to install the whole house system and have the water leak sensors to cover each of the bathrooms, kitchen and utility rooms. Comms: Water shutoff systems can use a number of options to communicate with a user and smart home hub. In the product we reviewed we saw Z-wave, Zigbee, wifi and propriety protocols. You can open communication with the system using either a smartphone app designed by the company. You can also use another controller like Z-Wave which belongs to a hub the auto water shut off valve can connect to. Some systems are wired, so they do not have any remote communication options. 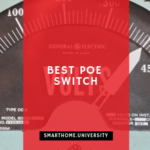 Our recommendation is to opt for models using popular smart home protocols like Z-wave or Zigbee. This will allow you to integrate the valves into your smart home eco system. DIY or plumber: It is best to install these systems with the help of a professional. This is to make sure of the quality of the installation and no future issues. You will also be able to account for the various tube sizes you may be using. The FortrezZ water shut off valve, for example, had complaints from customers that installed themselves. Some of these systems also have conditions on the temperature of where you install it which you must follow. While others limit your installation locations to spots with a power output nearby. Tube Sizes: Most systems allow multiple tube sizes like ¾ to 1½ inches. Some can be connected to the existing main shut off handle allowing you to control directly from the main supply. Hub: Connecting to a hub is usually required, especially if you wish to access remote controlling and monitoring of your valves. You can connect to the hub of the accessories (especially for Z-wave enabled devices). If you’re comfortable you can also connect to your personal smart homes like Alexa or Google Home. Accessories: You don’t always require accessories. It depends on the installation. For example, how you are allowed to access remote control, how easy it is to integrate with Wi-Fi etc. Might take the user several attempts and configuration to pair the Z-wave controller with SmartThings hub. Sometimes need a couple of attempts to close the main water shutoff valve (especially with old valves). Dome Shut off valve is not a truly speaking dedicated automatic water stop valve. It is an add-on to the existing valve adding the ability to close and open it based on the trigger or manually. The advantage of this is that Dome is easier to install and cost less compared to other shut off valves in our list. However, as an add-on it might be less reliable and more dependent on the quality install. Luckily, those concerns are not a case for this particular product based on our experience and the consistent feedback from users. That is why we consider this product to be the best option for the majority of users. Its place as the top automatic water valve is due to great value for money, great quality of build and reliability it demonstrated. The Water Main Shut-Off can be installed on any pre-existing ½” to 1 ½” brass ball valve. It should be at least 5” away from any walls or other obstructions. Examine Figure 3 and make sure there is enough room in your plumbing installation to accommodate the Shut-Off. Both the ball valve and the Water Main Shut-Off must be in the “open” position (where the handle is in line with the pipe, not at a right angle to it,) and then slide the control arm around the valve’s handle. Loosely tighten the hose clamps around the pipe on the opposite side of the handle, so it remains adjustable. The bolt of the Water Main Shut-Off Position must be above the bolt of the ball valve and then tighten the hose clamps until the Shut-Off is completely secure. To test for proper installation, power up the device and press the open/close button. The motor will engage, and your valve will close. 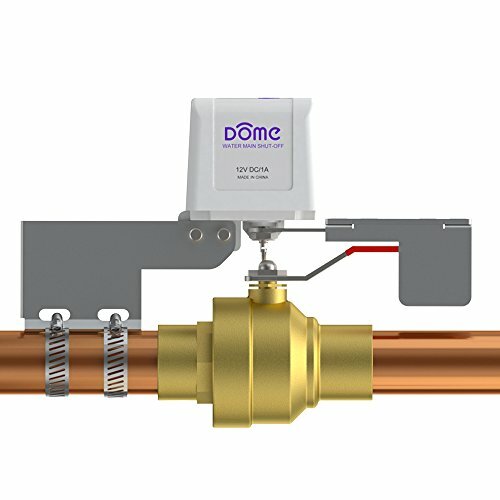 The Dome DMWV1 works with ¼ turn ball valves that are even found on water heaters and radiant heat systems. It can be used with any quarter-turn ball valve up to 1½ inches. The ball valve can be turned off automatically and manually. In cases where there is no power, there is a pull ring on the underside of the auto water shut off valves. This can disengage the arm from the motor. This allows the person to manually turn the valve in either direction. The Dome is capable of seamless integration with the likes of Samsung SmartThings hub as well as Wink 2 hub. Can the valve be turned on and off manually also? “The valve can be turned on and off manually in two cases. If the system is plugged in and there is the power supply. There is a button on top for the manual on and off. Does this device have lots of torque? I have two hot water tanks with quarter-turn valves, and they’re pretty stiff. 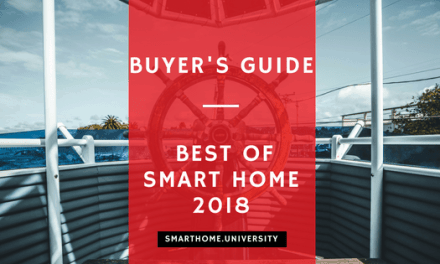 Will it work with the new Samsung smart things hub version 2018? It has worked for other users. SmartThings has the Classic app and a newer app/hub. You can check their website for more information. The app isn’t user-friendly; Navigation is a bit of a pain. The integration with smart homes needs better work. Isn’t as responsive as direct WiFi connection or other hubs. 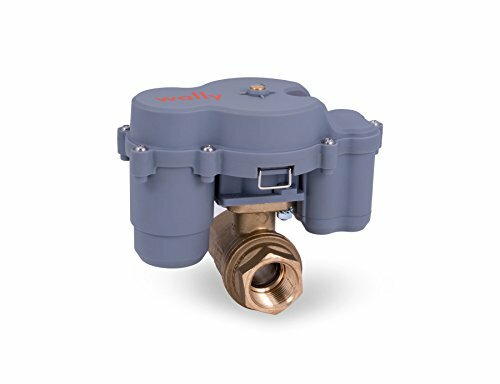 LeakSmart brings slightly different “all-in-one” approach to automatic water shutoff valves compared to Dome. LeakSmart system has its own hub and also provides you with the leak detectors. It focuses on the benefits of being able to integrate the system with your smart home instead of another hub. The benefits of this are that once bought you have all needed to prevent leaks and it also not dependent on any other hubs or configuration. Disadvantage are having yet another hub, higher price and less flexibility. As for the main functionality, we were happy with LeakSmart. It has a reliable alerting system and will send you a notification if a leak is detected. You can shut your main valve remotely. You can also integrate it with your smart home and use the powers of SmartThings, Wink, Iris, or any other ZigBee based system to control and monitor the valves. What’s the difference between the 1st and 2nd generation? Can this valve be installed outdoor? The sensor could trigger false alarms and shutdowns. Protecting it from the elements will make it safer to install outdoors. Is the hub 100% required? 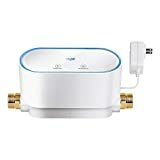 Or, can the valve itself directly connect to my Comcast wireless signal without the hub? A hub is required for you to access remote monitoring. Connect the provided Ethernet Cable to the Hub. Connect the other end of the Ethernet cable to your home Internet. You can connect the unit to either an Ethernet wall interface or Ethernet switch device or to a WiFi adapter. If you are using a switch device or WiFi adapter, reboot the device or adapter to automatically detect your new leakSMART Hub. 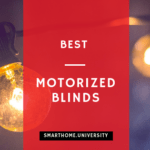 If you get a blinking red light, then it indicates a successful connection to your home Internet. If the red doesn’t blink, then it indicates no connection. on the bottom of the LeakSmart Hub. Enter your installation location(city,state) and press “Next”. You will get a solid green light which indicates a successful connection. The leakSMART Hub should now be successfully added to your account. Place your leakSMART Valve near your installation location, so you can verify that it is within range of your smart home leakSMART Hub. Verification will be done in pairing mode in APP. 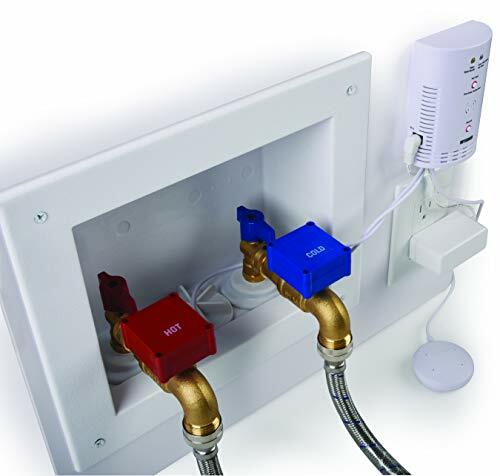 Connect leakSMART Valve to the provided 9V Power Supply and verify that the AC power cord is long enough to reach the valve installation location. Grohe 22503LN0 is the main alternative for LeakSmart. 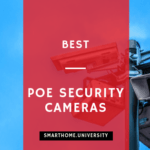 It has a number of additional functionality like water flow sensors capable to detect the pipe bursts without the sensors and better overall build quality. It is more difficult to integrate with your smart hub and has a higher price but probably a system we would use if the budget allows. The system is highly responsive in sensing potential water leaks and shutting off the water. 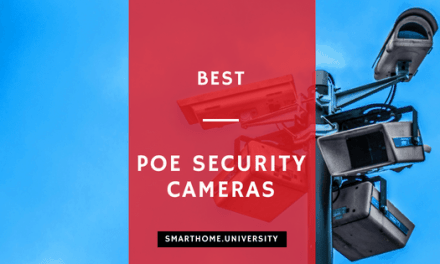 Reliable for protecting your house from damage. Easy app setup with a decent interface and smooth navigation. No battery back up in the event a leak occurred during a power failure. The pipe fittings included with the controller to connect it to the plumbing didn’t have a way to tighten them. The Grohe 22503LN0 provides its users with high-end features. Features like a smartphone app that is intuitively designed for easy navigation and user-friendly interactions. It also has a monitoring setup that accounts for any scenario of leakage. 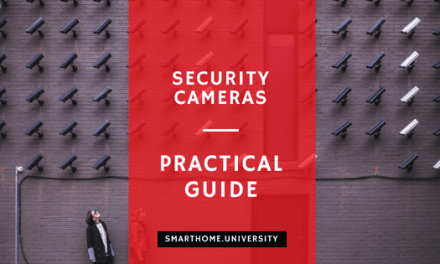 You can constantly monitor, easily control from any remote location. You’ll be aware of any possible issues with quick responding alerts. The only issue with the system is a lack of battery backup in case of a power failure. Since the system costs as much as it does, it’d make sense to provide a lasting battery backup. Potential equalization must be observed when copper pipes are installed. A trained professional must carry out the Installation. Trigger the cold water cut-off using GROHE Sense Guard and check after installation whether or not hot water is still leaking from outlets in the house. Leakage can be prevented by using GROHE thermostat fittings. The installation and the use of GROHE Sense Guard are subject to applicable national provisions. Manual water shut off from the control unit. Control unit can be placed up to 5’ away from valves. The automatic valve attachments are very long and stick out from the wall. 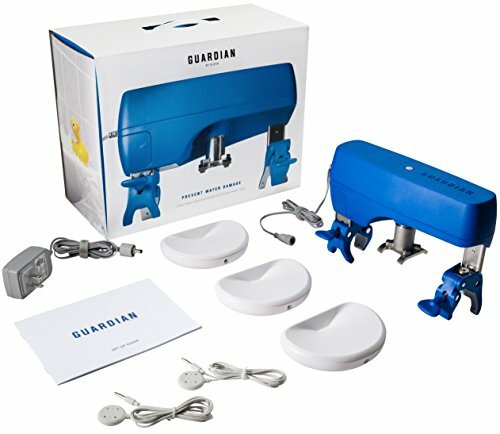 The MyGuard is a wonderful automatic washing machine water shutoff valve and the leak sensor. Being exclusive to washing machines, it doesn’t require much monitoring. This means it has no option for remote controlling as it uses a wired setup. This won’t be too much of an issue since it doesn’t occupy much space. You won’t even have to pay attention once you turn on your washing machine. The system will deal with auto shut off on its own when the time is right. The control unit from which the water is to be shut off can be placed 5 inches away from the system. Being exclusive to a single appliance also makes it very cheap. Can you extend the length of the cord from the sensor to the shutoff? We need to put the water valves on the other side of a small wall. Our hot/cold faucets are spaced 2-3/8″ center-to-center. Will these valves fit? Why can’t you put the sensor in a washing machine pan? The Guardian GDV3 by Elexia is a much more expensive alternative for your washing machine issues. It has everything the MyGuard doesn’t have like wireless connection and app for remote control. It can also be used for monitoring other pipes in your home as well. The ¾ NPT threads will be harder to seal. The Leak Intel-LGZW-1 is a great alternative to the LeakSmart or GROHE systems with some minor drawbacks pulling it back. The system is built with quality materials that have proven to last long. Integration with hubs like Samsung SmartThings is easy and quick. You will be able to properly monitor and shut off your water manually. The automatic shut off is also quick. The system will respond to any signs of leakage at early stages, preventing further damage to your home. The only notable downside is the possible difficulty you might face while installing the system. Taking the help of a plumber is almost a necessity for it work well. The leak detector is quite sensitive so place it in areas that are not prone to another type of water. The Guardian GVD3 offers three wireless leak detectors and a water-shutoff valve. You don’t have to worry about purchasing more leak detectors for the various parts of your home. When one leak detector is triggered, the valve will automatically shut off the water supply. Installation is quite easy, you may not require the assistance of a plumber, and you don’t have to worry about pipe cutting. The devices clamp onto the water intake pipe around the valve handle. A motor attached to it will be used to turn it on and off. The internet connectivity and other configuration on the app require a bit of playing around with. If you do find yourself in some trouble, the customer service will be more than happy to help you out. 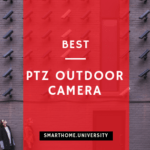 Overall we feel that this product came very close to LeakSmart, but overall the value for money is more with the former. Also ability to easily integrate to your smart home hub is missing from Guardian. 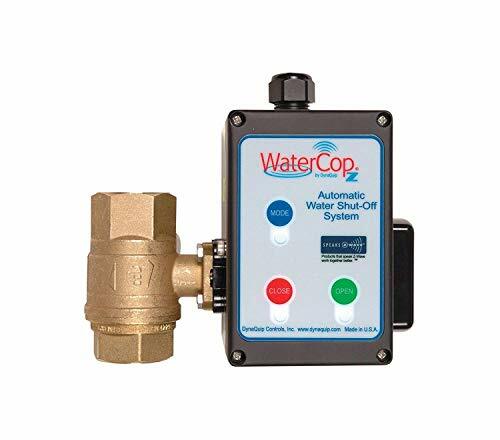 The WaterCop system is very good and reliable for a homeowner. It feels a bit rough around the edges compared to LeakSmart product (for example some of its app status display may be confusing). The app displays the opposite status of the valve. When it says the switch is on, the valve is off. It also has other bugs like opening and closing it too quickly will remain it closed. These kinds of technical complaints are why it is not on the top of recommendations. Easy to install. It is better to request professional assistance. 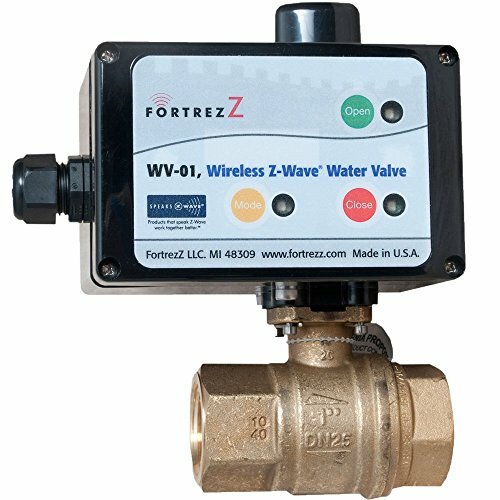 The FortrezZ water shut off system is also another reliable but expensive option. Its high quality features delivers on many of their promises. Some features like moisture detection, while working fine, doesn’t carry over its status to the smartphone app. This seemed like a faulty move as the app should be able to display all available information. 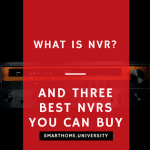 The valve quality could also be better for a system of this price range. The wally auto water shut off is a simple system that is priced fairly high. It gives you multiple leak detectors to install over your household. The smartphone app provides you ways to control which leak detector will trigger water shut down. The installation of the system requires a bit of help so professional help will always be useful. Otherwise, this is a fine alternative but for a rather high price. We also did not like the fact that it cannot be integrated to smart hub and require separate hub and application. Intuitive app design that will walk you through the setup process. Physical installation of the system doesn’t require assistance. Fair pricing especially when compared to its competitors. The device system doesn’t work on metal pipes other than copper. Troubleshooting issues require tech support, the printed instructions and app don’t provide much assistance. Requires internet connectivity, no automatic shut off. You are only provided logs that only go back as far as last month which is not a sufficient amount of history. Streamlabs has decent idea of having a sensor that constantly monitors the water flow. This allows you to have very interesting stats on the water consumption but also detect any water leaks and pipe bursts. As this is only a sensor, it won’t be able to cut the water in case of accident so a valve is still required. The performance itself doesn’t have many complaints, but it could do more with its features. A lack of proper records of logs is detrimental to the monitoring the users wish to do. Being Wi-Fi exclusive and not having an automatic shut off makes it a far less attractive option. Troubleshooting requires customer support. Nothing on the printed material or the app is that helpful. The only notable performance issue is that the detector doesn’t sense anything under ~0.25 to 0.5 GPM.